Fletcher Christian and his mutineers forced Captain Bligh and 18 of his supporters into one of the three launches aboard the H.M.S. Bounty. Forty days and 3,600 miles later, the men reached the safety of Timor. Artesania Latina's kit features simplified plank-on-frame construction. All wooden parts, including individual hull strakes are pre-cut. 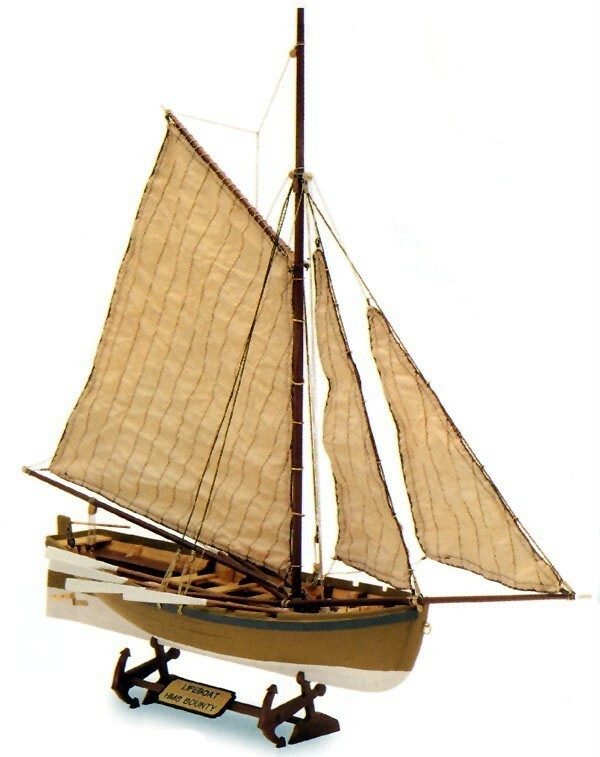 Hardwood and brass fittings, pre-sewn sails, display cradle, plans and assembly instructions are all included. The Launch is an impressive model on its own, and a worthy companion piece the H.M.S. Bounty.